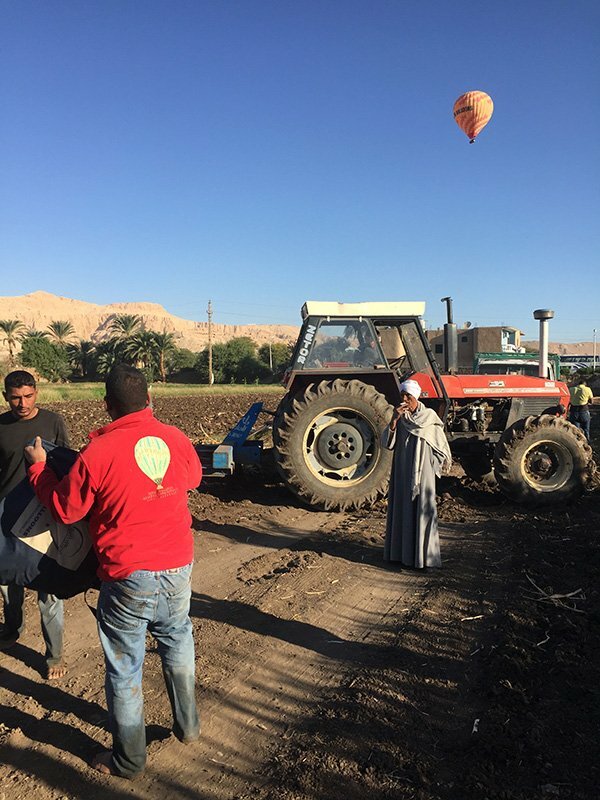 When I visited Luxor in December 2017 with my family, I had the opportunity to take a sunrise hot air balloon ride on the West Bank of the Nile River. 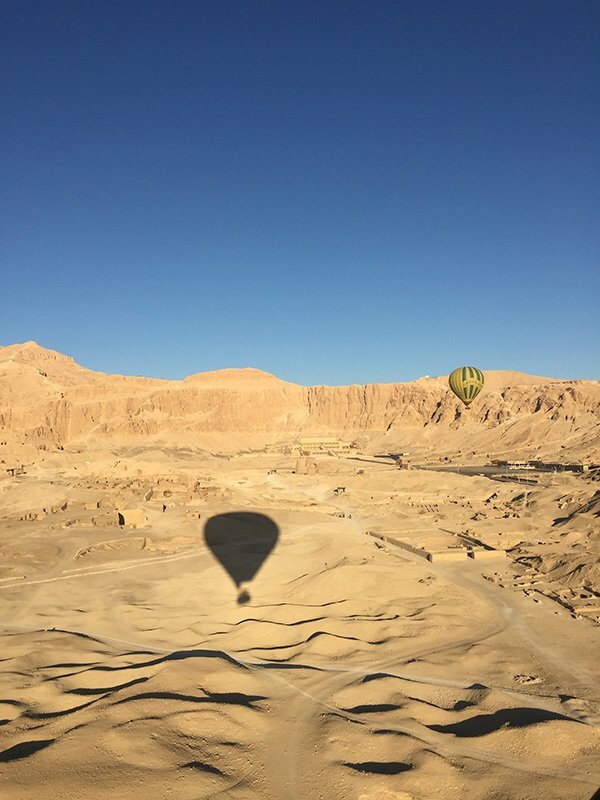 I did not ever imagine that I would ride a hot air balloon in Egypt, especially when I had my kids with me. 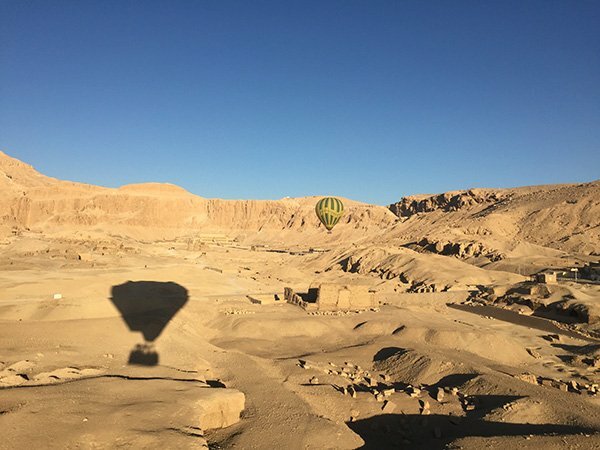 But thanks to having my mother-in-law with us, she and the kids slept in and I had an early morning pickup from my hotel, for a Luxor hot air balloon ride. Luxor Hot Air Ballooning is one of the top things to do in Luxor, but with tourism down, it is not so busy that you cannot book it the day before (most times). But if your schedule is not flexible, you can book ahead here, so you ensure you get the flight that you want. There is usually a sunrise flight that can be done before the Luxor day tours start, or there is the second flight (the one I took), which is the early morning flight. I highly suggest that you consider taking a Luxor balloon when you visit this amazing region of the Nile River. Getting Read to board my flight! 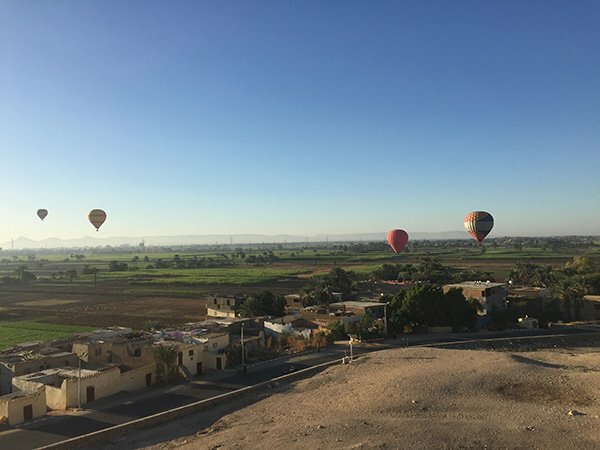 I had my alarm set for before sunrise, as there are two morning Luxor excursions for the Hot Air Balloon companies. I was picked up at my hotel in a medium sized bus, with other half asleep travellers already on board. 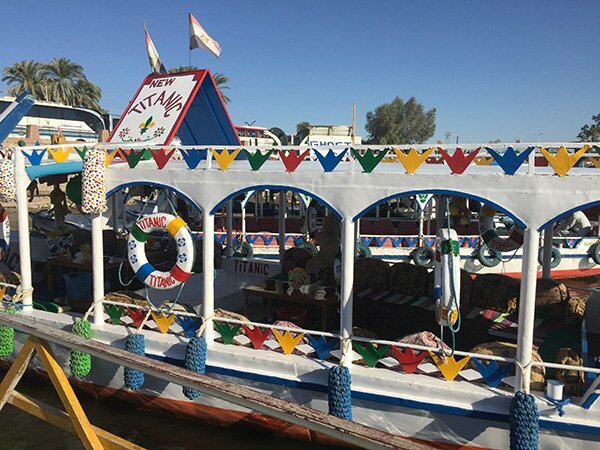 A short bus ride took us to a dock full of colourful passenger boats, tied together, that would take us across the Nile. Before a recently built bridge, this was the only way for passengers to get back and forth across the river. I thought it was ironic that they named their boat the “new” Titanic. We were served tea and coffee while other passengers arrived from other hotels. The sun had started to rise and we could see the first balloons rising into the sky. I sat at the front of the boat and took pictures as we crossed to the West Bank of Luxor, where we docked and were taken to another waiting bus. A few early morning vendors were on the dock selling scarves and pictures, but a simple “la shakrun” had them leave me alone. Another short bus ride, passed the giant Colossi of Memnon and we were at the hot air balloon site. Our Pilot explaining how the flight would go and everything we needed to know! Our group of 16 was explained the safety information, how to get on and off the balloon, and what to do for landing as the blue bird balloon landed behind us. 4 at a time, the first riders were unloaded and we climbed in. If everyone got off the balloon at once, it would take off back into the sky. The Pilot was steering and holding the balloon as guests got off and us eager passengers got on. It did not take long and then we were in the sky. An amazing blue sky morning greeted us as we flew towards one of the top luxor sights, the Mortuary temple of Hatshepsut… and the cliffs of Deir el Bahari. Behind those cliffs, was the Valley of the Kings. 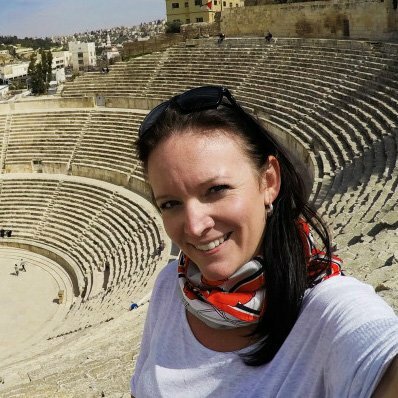 I had been in a hot air balloon once before as a teenager in Canada but was still in awe as the smooth ride took us high above the West Bank, where the rich farmland met the desert. I could see for miles. 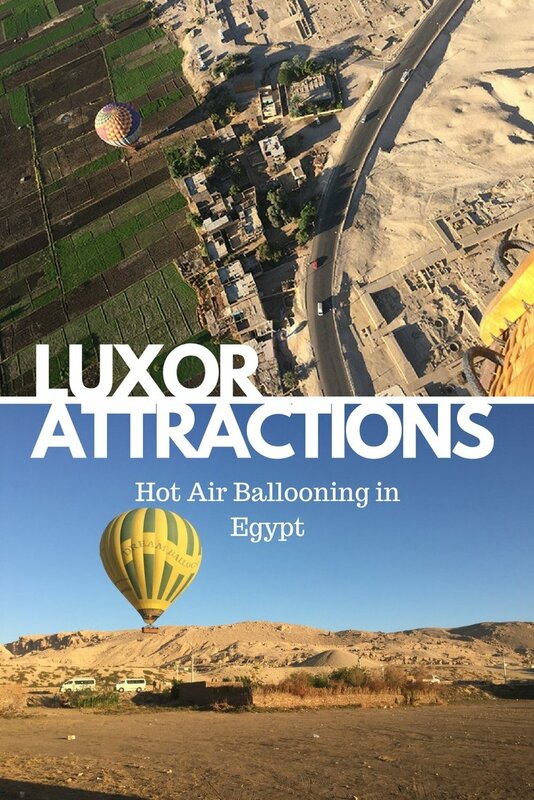 I would have to say that Luxor has got to be one of the best places to go hot air ballooning. The early December morning was cool, we experienced this rich region waking up, and we saw the rich history of the ancient city of Thebes from a view that so many visitors miss. 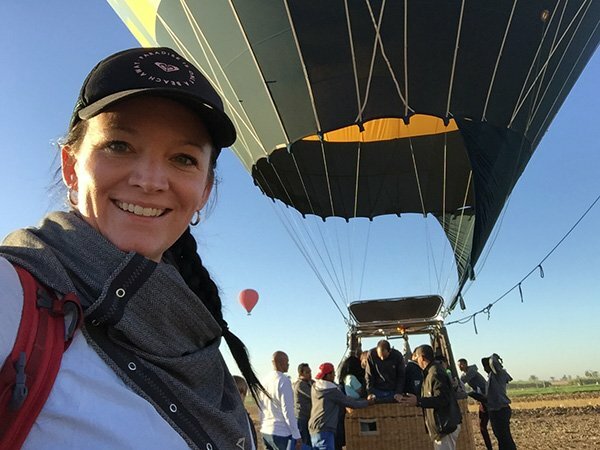 It is one of the most affordable places in the world to ride on a Hot Air Balloon. 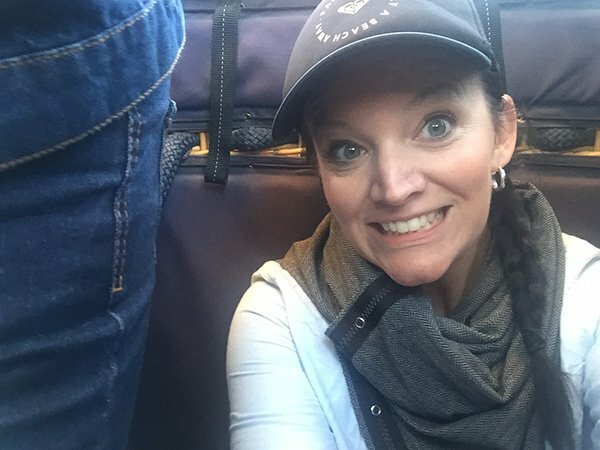 Despite recent accidents related to hot air balloons, I felt completely safe the whole time! Our Pilot was proficient and professional and perhaps the only hassle we experienced was the farmer who was not happy about our Pilot”™s chosen landing spot. He was quick to approach the chase team with threats to run over the balloon as it was deflated. But the chase team worked hard and had it cleaned up in 5 minutes. We then disembarked, and were escorted to a waiting bus. Why Only Early Morning Flights? 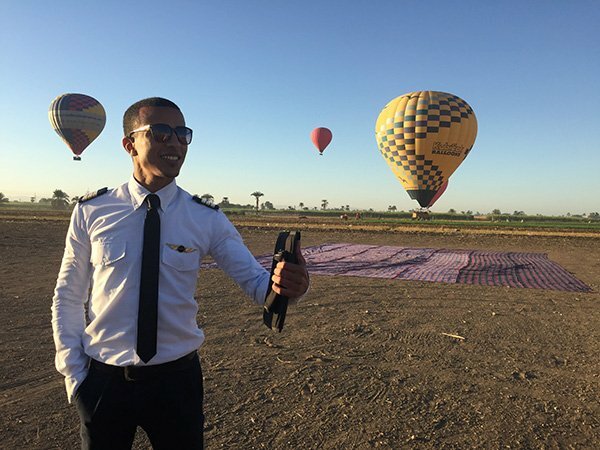 The Hot Air Balloon companies in Luxor are permitted to fly from before sunrise until 2 hours after sunrise. This is when the wind current is most predictable and when they are cleared with airspace regulations. The balloons take off from the West Bank of the Nile and it takes about 30 minutes to get there. The busses pick up passengers from various hotels and they all take the passenger ferries across the Nile. I am sure if you had a private transport you could drive there via the bridge. With regards to your balloon flight, the Pilots cannot steer the balloon, they can only adjust the altitude. Our pilot had us flying low, only a few hundred feet above the ground and we sailed with the wind towards the Valley of the Kings. When he increased our altitude to over 1000 feet, we sailed in another direction towards the Nile. So Amazing to be in the air with other balloons! Have you ever been Hot Air Ballooning? Where? I would love to hear about it!